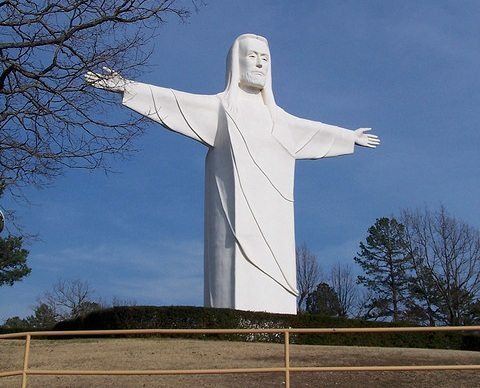 In Eureka Springs, Ark., the Great Passion Play, which portrays the last few days of Jesus Christ’s mortal life on earth, has agreed to an “amicable foreclosure” with its bank, bringing this Ozarks institution into at least a state of suspension if not full closure. This poses a problem for the local economy because the play employed more than 200 people full time and also attracted tourists to the area who bought at local businesses to the tune of approximately $7 million to $9 million annually. “They have reached the end of the road and are turning everything over to us,” commented Cornerstone Bank President and CEO Charles T. Cross. Anonymous sources told the Lovely County Citizen that the GPP owes approximately $1.2 million and is unable to meet its mortgage obligations. It also owes $35,634.34 in taxes and other fees on its properties. It appears that the bank prefers to find a buyer for the property who will re-open the play, but failing that, they hope to find a purchaser who would use the property in another way that would be a tourist draw for the area. It is not only the land being sold. Sources say that the GPP is selling its stock of live animals, which have been part of the performances, because it can no longer afford to feed them. But the most visible evidence of the group’s troubles is perhaps the fact that the lights have been turned off on the iconic Christ of the Ozarks, the second largest Christ statue in the world. The statue on top of Magnetic Mountain is 65.5 feet tall and founder Gerald Smith wanted it to be accessible and visible 24 hours a day.